Absolute rare find! 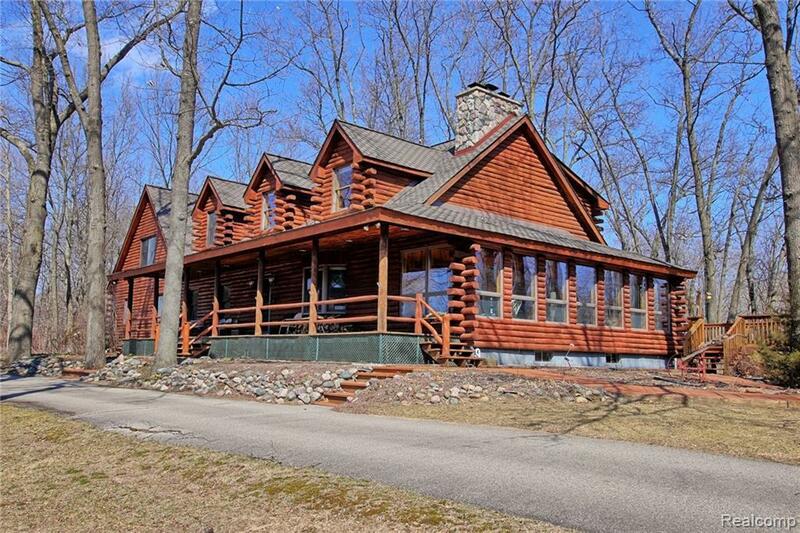 Stunning, custom built log cabin home with its own spring fed pond. Home features first floor master suite, updated kitchen, and solarium. 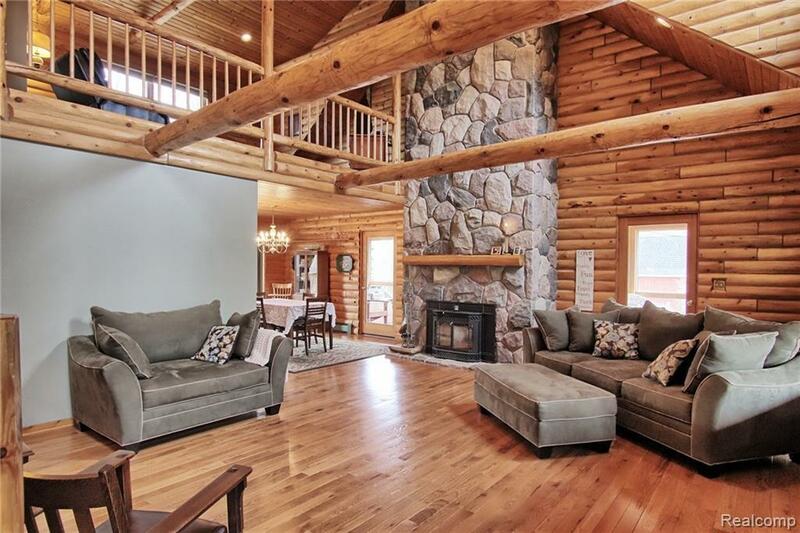 You will love the towering granite fireplace. Beautiful views from every window. 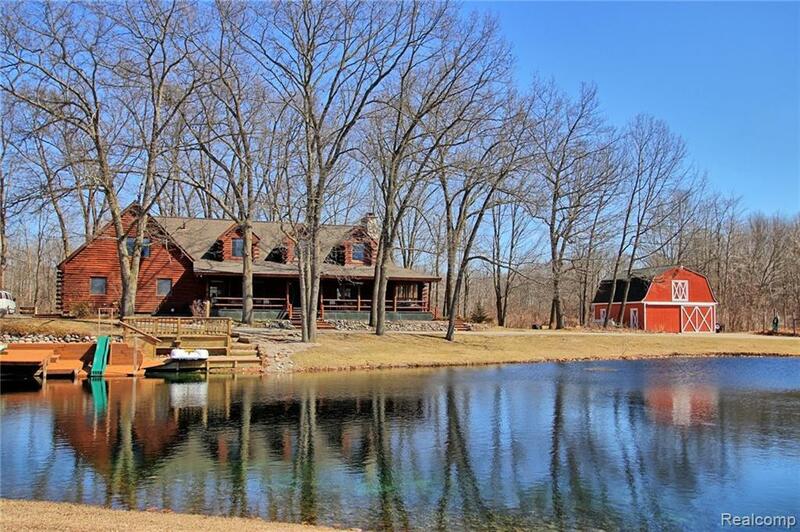 Watch over the inviting swimming pond from the large country porch or entertain on the expansive back deck. Bonus one bedroom apartment (with separate entrance) over garage; appliances included. Fully finished walk out basement has something for everyone ? recreation area, game room, craft/office, and workshop. Huge two story 32x24 Pole Barn for all your outdoor toys. Three car side entry garage and extended circular driveway. All of this on over 8 private acres just off of a paved street. Be sure to view the aerial video. 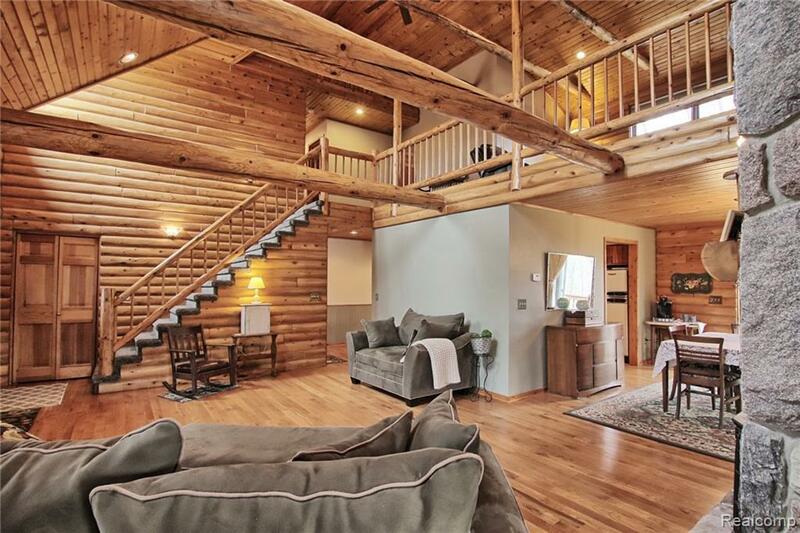 This serene haven is in park rich Groveland Township and is close to it all ? shopping, schools, freeways, and parks. See it, love it, live in it!